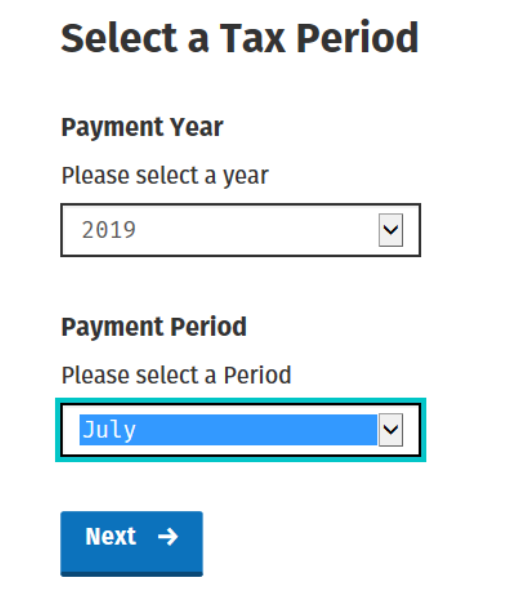 On the next screen, select the Payment Year and Payment Period you wish to pay. Click Next. 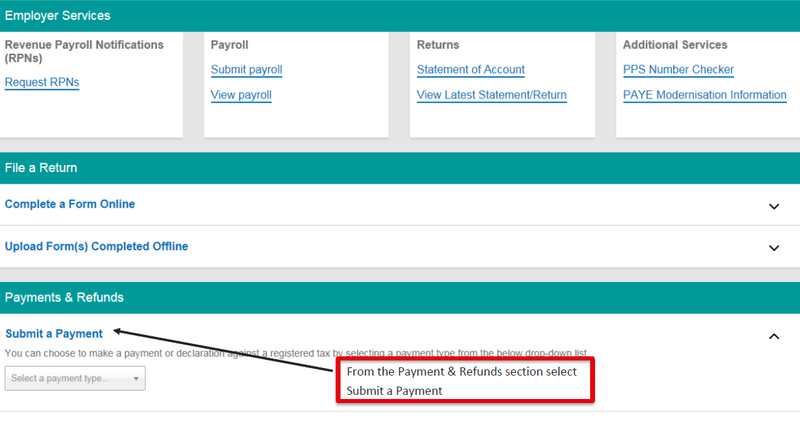 Please note: If any interim payments have been made already for this period, these will not be reflected here. 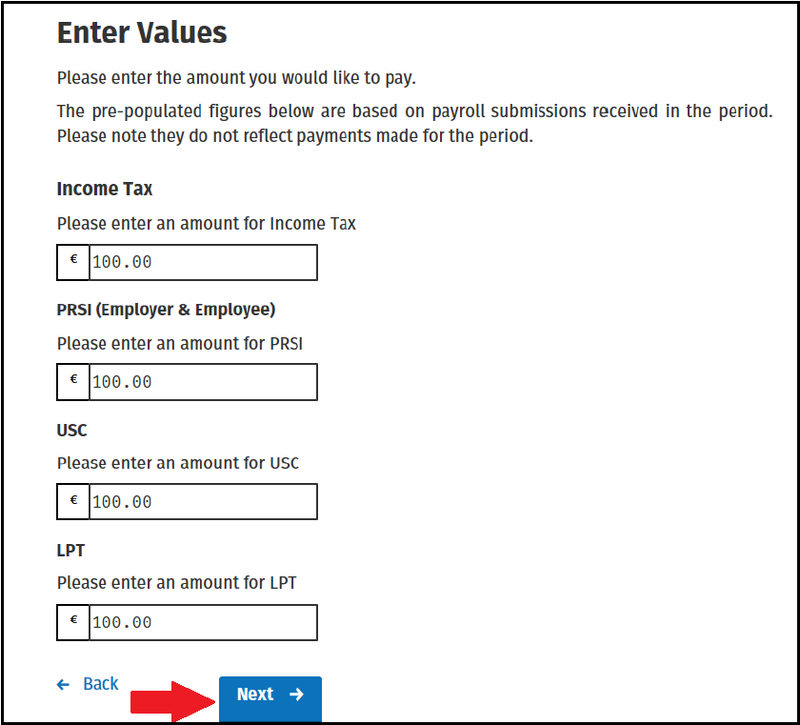 On the next screen, select how you would like to pay. 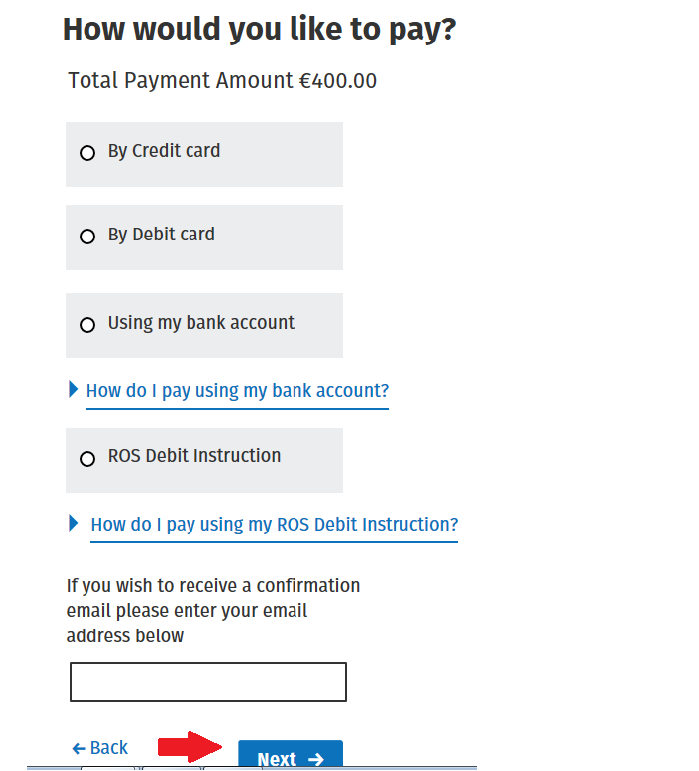 Please note: the ROS Debit Instruction option will only be available if this has been set up in ROS. 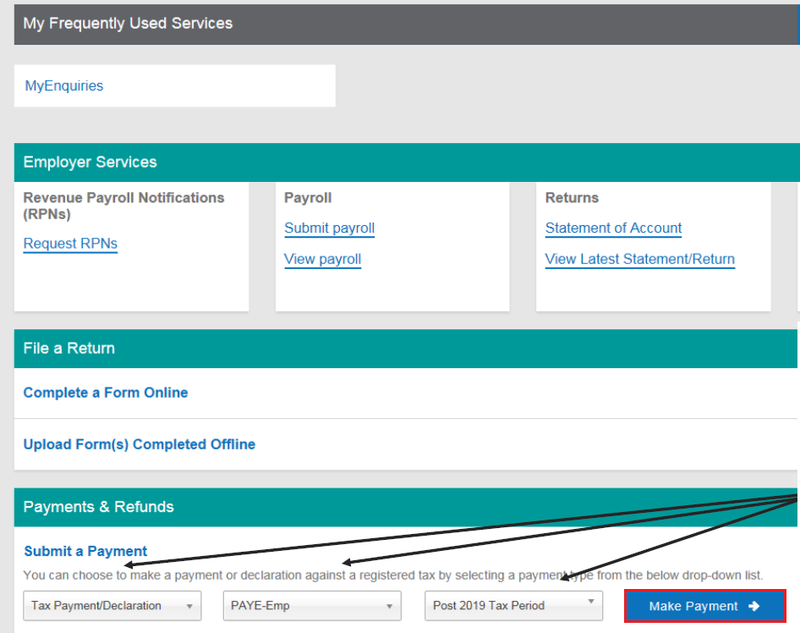 Based on the payment method selected, complete the steps provided to you. Once all steps have been completed, you will be presented with the Sign & Submit screen.